CP of Australia announces that they will launch campaigns in select seats at all the states at the next federal elections. 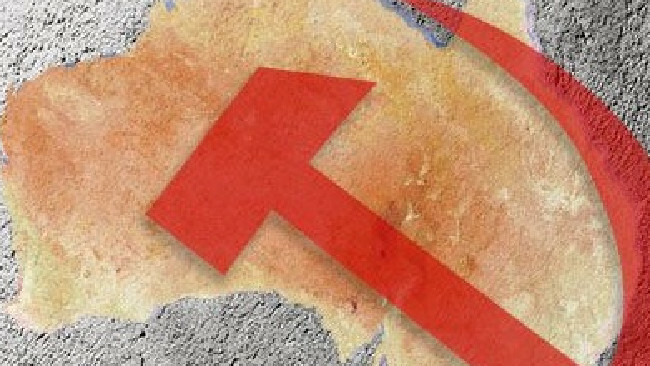 It is reported at the party website that although it doesn't’t expect to win any seats, the Communist Party of Australia (CPA) is planning to take part in the next federal elections since it believes "voters are in a mood to listen". People are more attuned to political messages than at other times...” the CPA explains on its website. At the newscom.au it is reported that the only communist elected to an Australian parliament was Oxford-educated Fred Paterson who was in the Queensland Parliament 1944-49. Although the current CPA is reported to have some obstacles regarding the required member numbers and “(t)he game appears to be sewn up for the major parties, especially given the role of the all-pervasive corporate media" and however the Party plans to ask for supporters to help in its bid to overcome obstacles. "The Communist Party of Australia doesn’t believe that profound social change in Australia will flow exclusively or even primarily from the attainment of a parliamentary majority of left and progressive representatives in Canberra. It will be led and then defended within communities, in the workplace and in the streets. But even at this stage, the chance to present pro-people alternatives to the current corporate agenda at election time can’t be passed up. For that reason we’re asking for your assistance to register our electoral organisation, the Communists, with the Australian Electoral Commission."